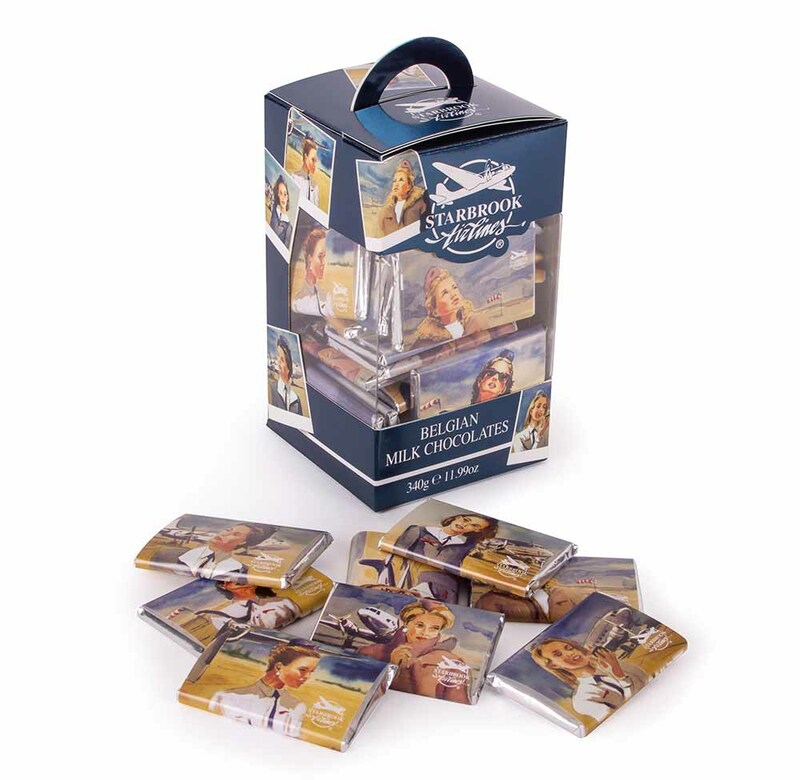 All wrapped up in individual wrappers.How convenient is that! 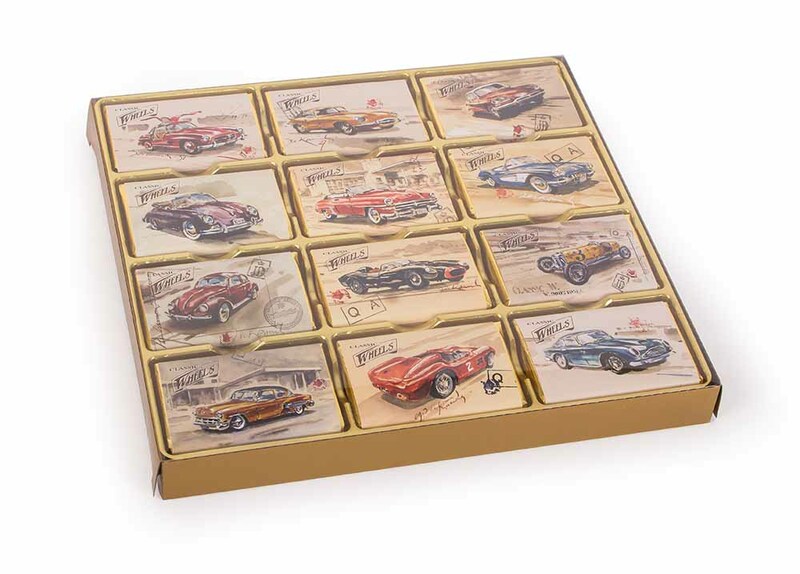 An ideal portionto enjoy in a distinguished way …as much as you like. 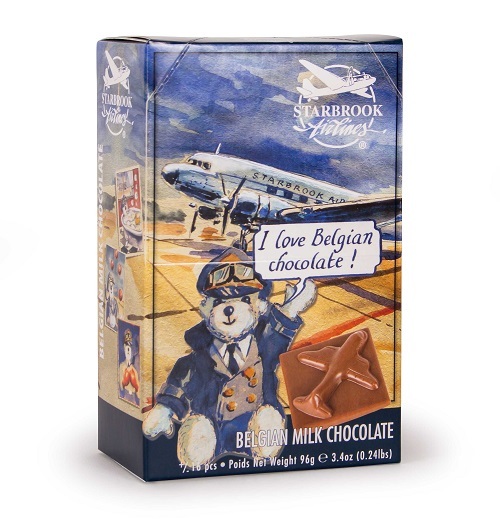 Starbrook Airlines mini milk chocolate airplanes 96g, the shape and taste of this Belgian chocolate will surely make all youngsters happy. Please download our brochures under "Our brands" to discover all other new products!